Description: At a secret underground facility, The international agency S.H.I.E.L.D. has hired the brilliant Dr. Erik Selvig to develop a sustainable energy source from the mystical tesseract, used by The Red Skull during the second world war, however things turn sour when the tesseract reacts to something not of this world. 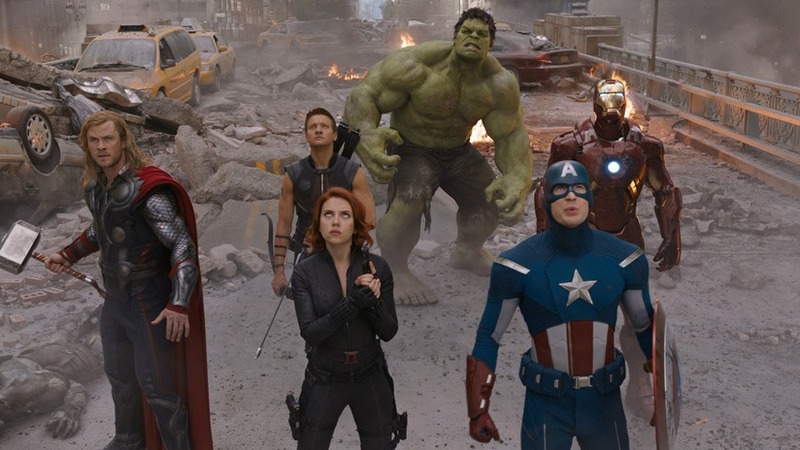 Perhaps one of the greatest gambles in movie making history, The Avengers is the culmination of what is now known as the first "phase" in a large shared universe project for in-house adaptations of various Marvel comics superheroes. 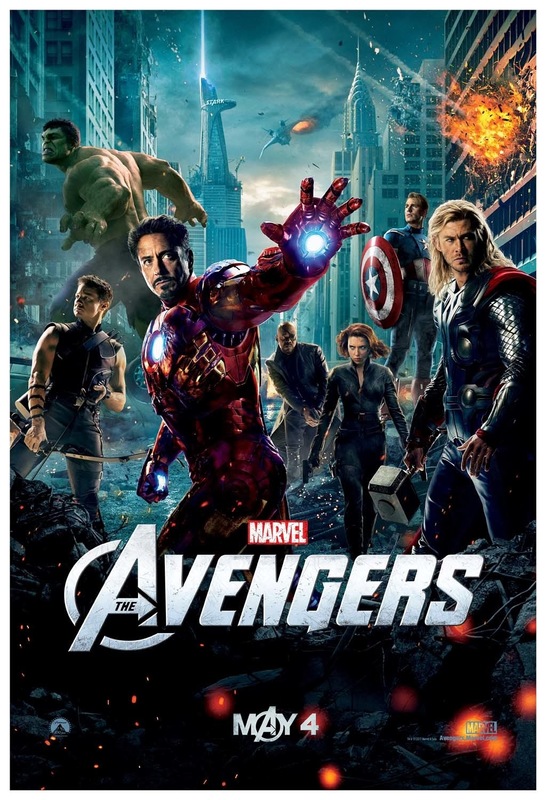 The "phase" in this case being the movies that tie in with this one, starting with Iron Man, followed by The Incredible Hulk, then Iron Man 2, Thor and finally Captain America: The First Avenger. 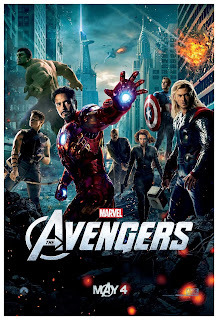 All good movies in their own right, this film stands in front of the enormous task of making a satisfactory climax to all the little hints and after-credits scenes that the former movies has made - Iron Man 2 as an example suffered under almost completely being a trailer for this movie. The film is headed by one of the "Kings of the Nerds", Joss Whedon, creator, director and writer of several big name movies and tv-series that have frankly waved between being fantastic and being all style and no substance. One could argue in this particular case, the writers pretty much had their work cut out for them beforehand. Most of the characters (with only one notable exception) has not only been established in former films, but films that all sold exceptionally well in theatres meaning they can rely on everyone knowing exactly who the characters are coming into the movie. This makes the entire movie feel like a 2 and a half hour third act, giving us our very first action scene by the 3 minute point. Fans are of course quickly given exactly what they came for, not much time is wasted one explaining why all these characters would be in the place at the same time and our heroes are all pretty much introduced by what we best know them for. Bruce Banner is on the run from the government, Iron Man is out doing something scientific, Capt. 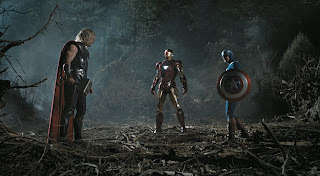 America spends his time punching stuff and Thor is introduced with a thunder storm. 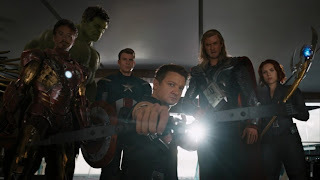 When they're mentioned in passing, the audiences know exactly what kind of scene is coming up next: "Ladies and gentlemen, now Robert Downey Jr. will say something funny", "give a big hand to Chris Evans being stoic and old fashioned" is what they pretty much could've been said outright by Samuel L. Jackson whose appearance as Nick Fury pretty much works as the stage announcer. It's like a rock band playing their greatest hit as their opening act as the lights are turned on. The movie doesn't leave you much time to actually think about several missing plot points between the former movies and this one you're quickly distracted by all the things that are constantly thrown at you, to it's credit, the film indulges the fans in both the "who would win in a fight between.." and "Wouldn't it be cool if.." department, the very recognizable nature of the different characters also make them visible even when the action sequences falls victim to modern technique of "shaky-cam". This kind of thing was a big problem in films like The Transformers movies where you literally couldn't tell which giant robot was fighting which but the looks and designs of the costumes of the characters are kept so true to form that it doesn't pose a problem in this instance. Not much time is spent on character development as the little downtime the movie actually has is spent on quarrels between the teammates or someone relaying exposition. The movie actually spends most of it's lines on short immediate exposition to make the audience ready for what is coming next. Introductions between the characters are pretty much reduced to "Hey, aren't you that guy in the metal armor?" "Yeah and I heard you turn big and green sometimes". It feels unnatural but it's pretty easy to understand why they did it this way: Audiences already know all the big name characters and the writers know that they have to give people what they came to see. While it certainly works for most of the established characters, the character of Clint Barton aka. Hawkeye poses a problem in that regard. Aside from a single scene in the Thor movie, audiences are never really introduced to who Hawkeye is. All we really know is that he's a guy who prefers using a bow to using a gun. This is not helped much in the movie, as he spends most of the film being mind controlled by the movie's villain. We know nothing about the character, so rooting for him when he joins the big climactic fight at the end is neigh impossible unless you know the character from other media. On the other end of the spectrum we have The Incredible Hulk, Mark Ruffalo being the third person to play the character in the span of merely ten years and the second person to play him in the Marvel Shared Universe continuity. The last person before Ruffalo to play Bruce Banner was Edward Norton, an award winning and hugely popular actor, so Ruffalo stood before the task of being accepted by audiences in a role that has not seen much stability. This is very reminiscent of the comic book Bruce Banner as different writers also tended to treat the character very differently, some having the Hulk persona take over entirely for extended periods of time to simple not deal with having to write drama for the character. Thankfully, Ruffalo does a very good job of making a very withdrawn but hot-headed professor, nervously joking about his condition as a means to cope with the stressful situations he's put into. That combined with his version of the Hulk being the most entertaining thing in the movie, makes sure he more than lives up to taking up "the mantle", if you will. Though it does seem like The Incredible Hulk, incredibly shrunk sometime between it's appearances. The movie, as I said, doesn't go into much detail during it's explanations and one can't help but ask: Where was Col. Rhodes aka. Warmachine who had his origin story in Iron Man 2 during this entire debacle? The question is pretty much ignored in both this film and Iron Man 3. We're just asked to accept that a government agency would rather ask for the help of a loose cannon billionaire than an actual military officer who has a very similar suit of armor. On the villain side we have the least substance of all. As with the original first comic book appearance of The Avengers, our main villain is Loki the god of mischief. Tom Hiddleston reprises his role as the character from Thor and in this film he just seems a lot more threatening than his initial appearance. 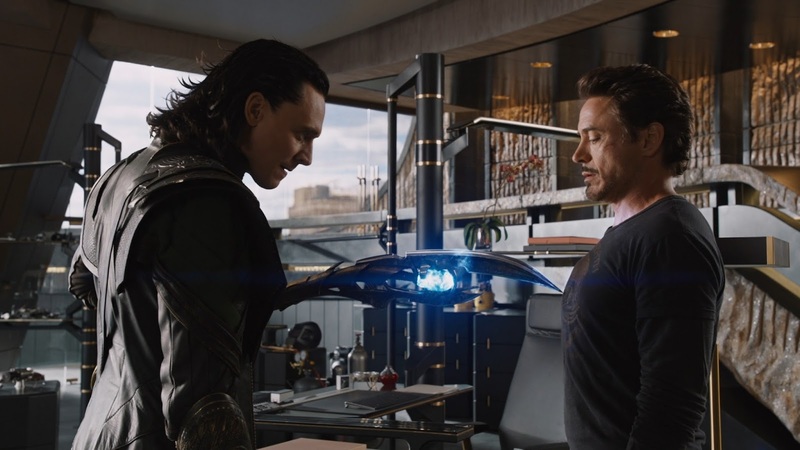 From his very first scene in the movie, he quickly shows off that he is clearly more than enough of a feat to have to be taken on by the entirety of Earth's Mightiest. However, It is never explained what happened between his final scene in the former film and how he ended up allying himself with such a powerful force - force of what exactly? This is the problem with having the film focusing mostly on spectacle, we know next to nothing about the alien race of "The Chitauri" (as race that was made up for the movie by the way) and why they have a reason for attacking the planet earth, instead we have an army of grey-ish monster beings that doesn't talk and pretty much works a living punching bags and cannon fodder for the writers to show off the heroes and their individual superpowers. Had it not been for the talent and charisma of Tom Hiddleston in the role of Loki, the villains of the movie had not been interesting at all. The Avengers, while perhaps one of the most accurate and entertaining comic book movies in recent years is a classic example of trading in substance for the sake of style and spectacle. What little drama there is in the movie is simply used as a catalyst for having the heroes go out and punch things and if you expected a film that would work well on it's own I'm sorry to disappoint. 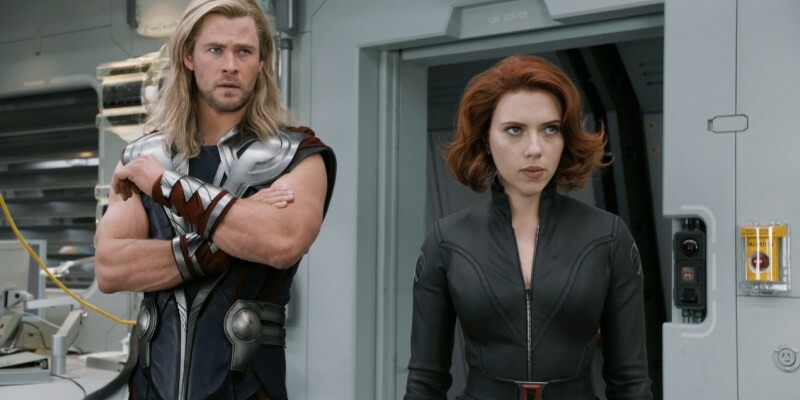 The Avengers is pretty much just one long third act of a much larger story, like the last episode of a season of a TV-show. Wrapping up the overarching immediate plot that's been developing little by little in the background throughout the last couple of episodes. Therefore it highly necessitates having watched one or more of the former films in order to be enjoyed properly. If you haven't, all you're left with is a series of spectacle scenes, really well shot and sometimes funny action scenes to be sure but you're not given much explanation for what is going on. For fans, the film is a dream come true: Actually seeing these characters fighting alongside each other in a movie that's not only accurate but actually entertaining and successful is something no one would've ever thought possible - be warned though, while fun and entertaining while you watch it it can pretty easily be picked apart in the plot department. I recommend this film by all means, but I also highly recommend watching the former films in the "Marvel Cinematic Universe" first to truly get the most of it.